The unique run game achieves the "ANDROID EXCELLENCE GAME" from Google Play. Run and jump across hazardous cliffs from one flying island to another, while avoiding large boulders. Feel free like a bird as you run through the skies and land gracefully trying to beat the endless abyss. Conquer all the dangerous terrains in different weather conditions from clear skies to storms which rage for days. Take a deep breath, concentrate and feel the adrenaline pumping as you take that exhilarating jump. The experience might seem frightening and surreal at first, but soon you will find each free fall soothing and relaxing. WHAT MAKES SKY DANCER RUN AN AWESOME RUNNER? * Free Falling! Sky Dancer Run is a new runner where falling is just as important as running! Feel the fall from the sky and make a perfect landing like a pro! * A stylish running games with a daredevil attitude! It's #1 impossible runner games that produce the toughest challenge! * In Sky Dancer Run, you take huge, exhilarating, impossible, action movie-style leaps-and pray you've got the skills to land on that platform far below. * Run as far as you can but watch out for the drop! Join our dancers and jumpers on this greatest space adventure of Sky Dancer! * Featured in BEST MOBILE GAMES IN 2017 by CNET. 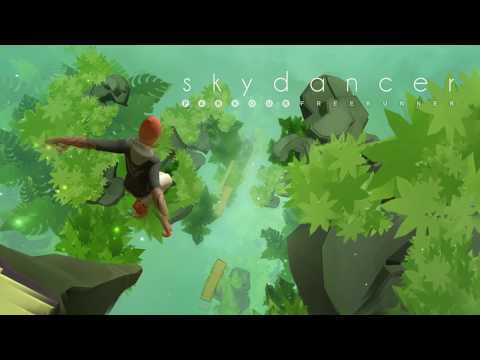 * Sky Dancer is ONE OF THE BEST FREE RUNNING GAMES to Download and Play! All in-app products are completely optional! Are you ready to challenge the coolest runner right now?